Thousands of New York City police officers have been undergoing re-training at the city’s police academy, learning how to communicate better with the public and new, safer techniques of subduing suspects. Officers are now being taught a martial arts technique known as the “armbar hammerlock” (video), reported New York local portal DNAInfo. New York’s police academy previously taught a “headlock” move, a choke-hold used by Officer Daniel Pantaleo during the controversial arrest attempt in July 2014 that resulted in the death of Eric Garner of Staten Island. “We have to be more human,” NYPD's new Deputy Commissioner of Training, Michael Julian, told reporters in December, following the protests over the grand jury decision not to indict Officer Pantaleo in Garner’s death. While it is still possible to break someone’s arm using the hammerlock, the NYPD hopes that additional training may remove the need for grappling with suspects in the first place. Before studying the new moves, officers have been spending two days re-learning teamwork, self-control and better communication with suspects and the public. 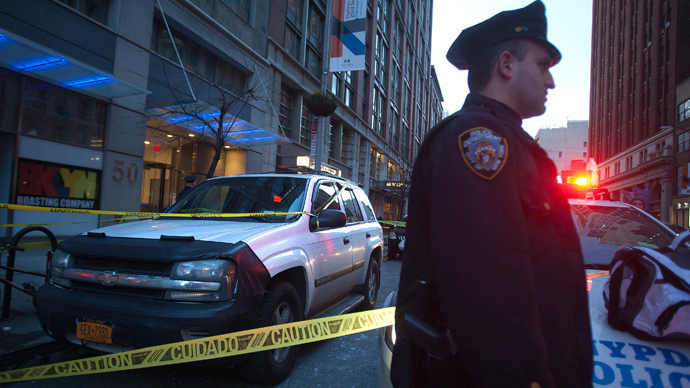 “Day one and Day two are designed to avoid needing Day three,” one police source told DNAInfo. One part of the seminar is the nationally recognized program called “Blue Courage,” designed to remind officers about the values of policing, justice and fairness. The locally developed communication course, taught on the second day, involves lectures by specialists such as Hostage Negotiation Unit leader, Lt. Jack Cambria. All NYPD officers should be re-trained by June this year.